Original Oil Paintings Business partner and wife Robin Anderson blogs about her experiences in marketing and exhibiting artist Ron Anderson's original oil paintings. Artists and Art Patrons feel free to add your Visual Art related comments. Robin Anderson is Ron's wife and business partner. Robin is the Managing Partner of Ron Anderson Studio, LLC and is actively involved in overall operations of their business. She coordinates Ron's art exhibitions, and the art licensing and sale of his work. Robin has business experience including former management positions as a Commercial Markets Account Executive in the Telecommunications industry and as a Customer Service Manager in the Computer Education industry. She has additional experience in Sales Management and Sales Training. She served as Trustee on the Board of Directors, and was the 1994 Chairman of the Board of the Worthington area Chamber of Commerce. Robin served as Trustee on the Board of Directors of Leadership Worthington after completing the Leadership Worthington twelve month training program. Her Professional activities in past years have included being a Guest Speaker at; the Annual Civic Leader's Dinner in Worthington, Ohio, the Annual Worthington area Chamber of Commerce Member's Meeting, and as Facilitator for the Worthington area Chamber of Commerce Board of Directors Annual Retreat. 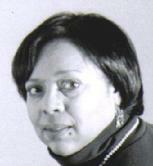 Robin's biographical information/photograph was included in the 4th-7th editions of "Who's Who in Black Columbus". This publication recognizes and highlights the positive achievements of African-Americans. Additional Guest Speaker events included The Delaware area Chamber of Commerce Mayor's breakfast and at events for Leadership Worthington, and for AT&T. Business memberships have included the Worthington area Business and Professional Women (WABPW).